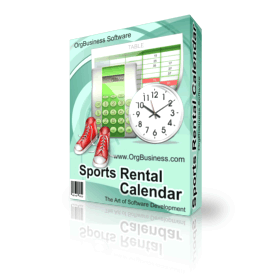 Sports Rental Calendar is designed for individuals, small and mid-sized businesses, operating in the sports rental market. With this software, renters can organize rental activities, keep track of rental units and plan to rent out resources, avoiding associated problems. The program has a handy interface to calculate and show the term of lease, professional events, helping you to make decisions quickly without having to search in endless paper notes, looking for time available for rent. The program has searching and sorting options to let users easily handle records. 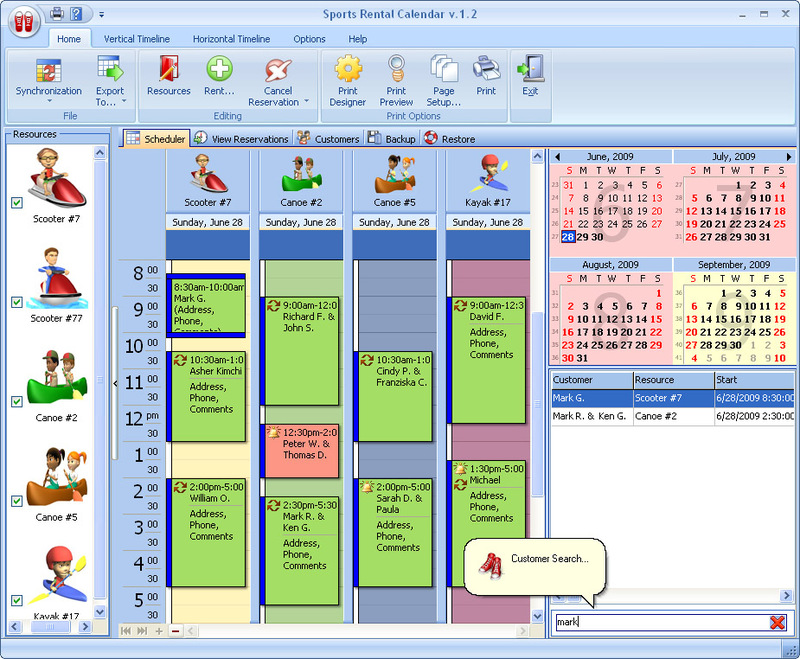 Sports Rental Calendar is great to store and keep track of calendars for unlimited number of rental units, such as badminton, squash, golf, tennis courts, bikes, bicycle, boats, canoes, scooter, planes, surfboards, boogie boards, wetsuits, snowboards, skis, skates and hockey gear, etc. You can also customize the database to meet your specific data management needs and requirements. Besides, the program allows creating client database. Sports Rental Calendar stores the full information on each client, including address, contacts and order history, and is always ready to provide it, ensuring personal approach. The program enables a user to save the price of the order and provides the financial statistics for any period of time. The software simplifies information transmission between different platforms by implementing iCalendar RFC 2445 standard support. This format allows you to exchange scheduling data between your application and the following calendars – Apple iCal, Microsoft Exchange Server and Android apps.